Today Jostle Corporation announced a successful funding round, securing a further 2M$ in equity investment. Jostle Corporation revealed today that it has secured a further 2M$ in equity investment. This financing round was fully sold to private investors, continuing the company’s tradition of independence from institutional investors. Jostle is using these funds to further accelerate customer acquisition and to enhance its reinvention of the employee intranet. Jostle’s cloud-based platform helps organizations around the globe enable their employees and drive their culture, in simple and engaging ways. It competes with conventional intranets (internal website portals) and emerging enterprise social platforms like Yammer and Jive. Thanks to its elegant, work-relevant approach Jostle is achieving employee participation rates of over 85%, measured across all its customers. That’s over five time industry norms. Jostle has raised 6.6 M$ to date, all from private individuals. It has 64 shareholders, including most employees and all Directors. 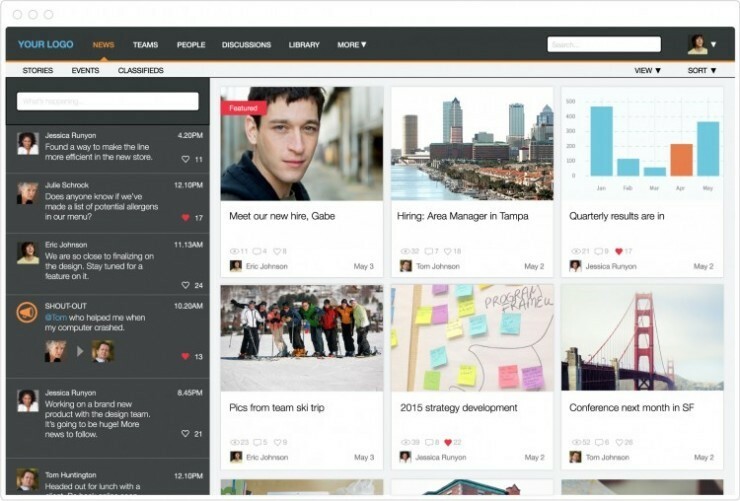 Jostle is the creator of a new kind of intranet that is designed to help leaders engage their workforce. Its elegance and relevance yield exceptional participation rates – exceeding five times industry standards. Jostle’s intranet is turnkey, cloud-based, and requires no IT resources to maintain. For more information, please visit www.jostle.me or contact us at info@jostle.me.